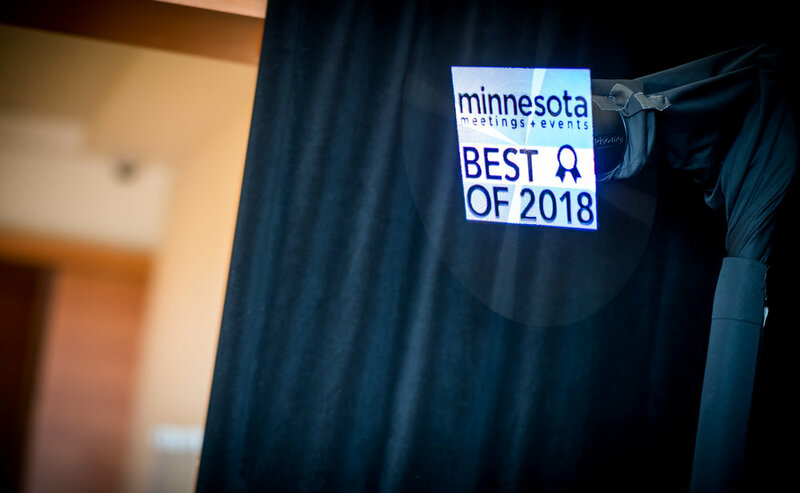 AV for You set up audio, video and lighting rental equipment for Minnesota Meetings + Events 2018 “Best of Awards” at the Minneapolis Institute of Art. For audio rental equipment we set up speakers, microphones and a drum kit. For the speaker rental portion we set up twelve DVA Line Array T4 Speakers, four JBL VRX918SP Subwoofers and eight QSC K10 Speakers. We set up our Drum Kit, Fender Hot Rod Deluxe Amp and Ampeg SVT-400t for the band and provided a Shure drum microphone kit. We also set up up mic stands and provided our Frosted Podium. 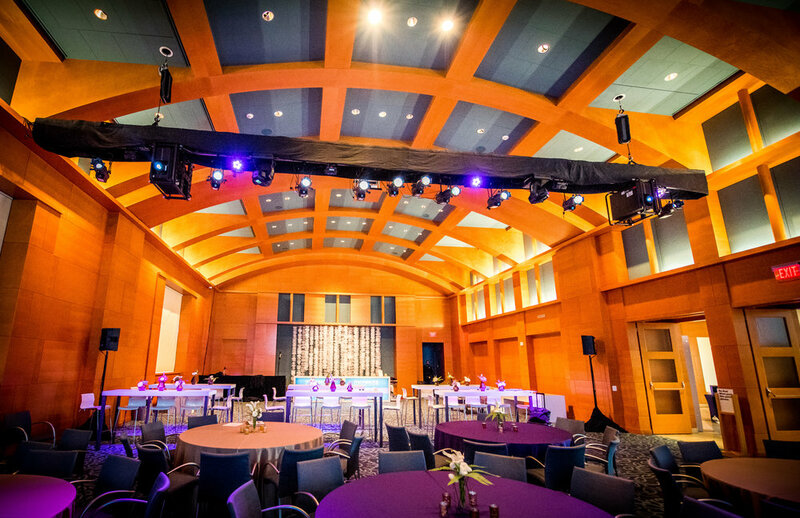 For video rental equipment we provided projectors, screens and other video equipment in two seperate rooms; the reception area and main room for the event. 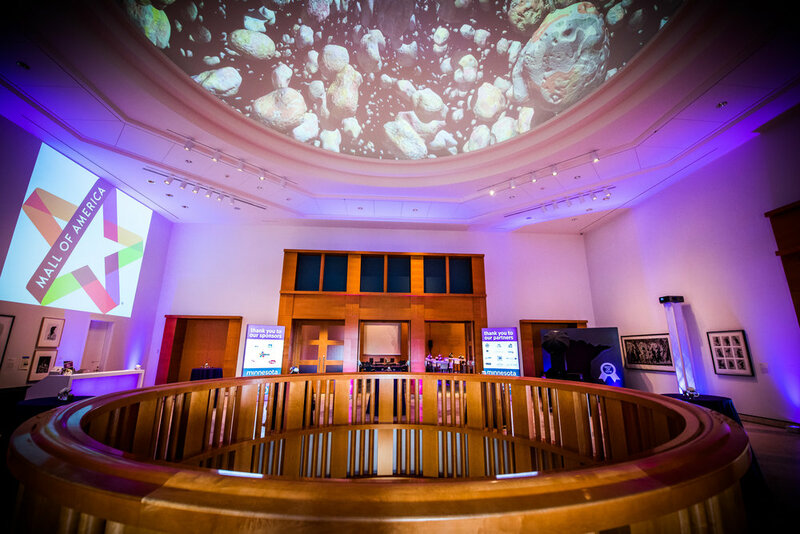 In the reception area we mounted three Eiki 7K projectors on truss towers to project onto a wall. 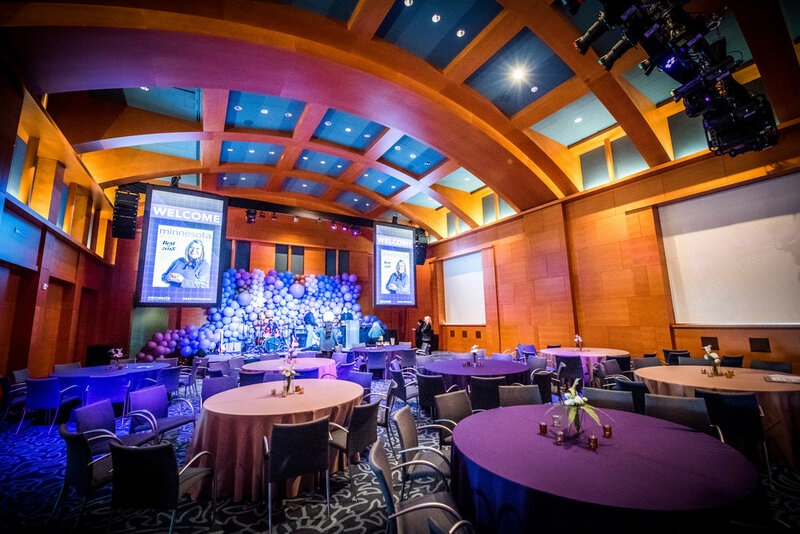 In the main room where the awards were held we mounted two Barco 12K HD Projectors onto a truss line elevated to the ceiling using a chain hoist and projected them onto our Draper 6.75’ x 12’ Screens that we flew vertically above the main stage. We also set up our Hypervsn Kino Mo 3D hologram projector set to display floating in mid air sponsor logos at the event. On the main stage we set up one of our confidence monitor for the presenters. 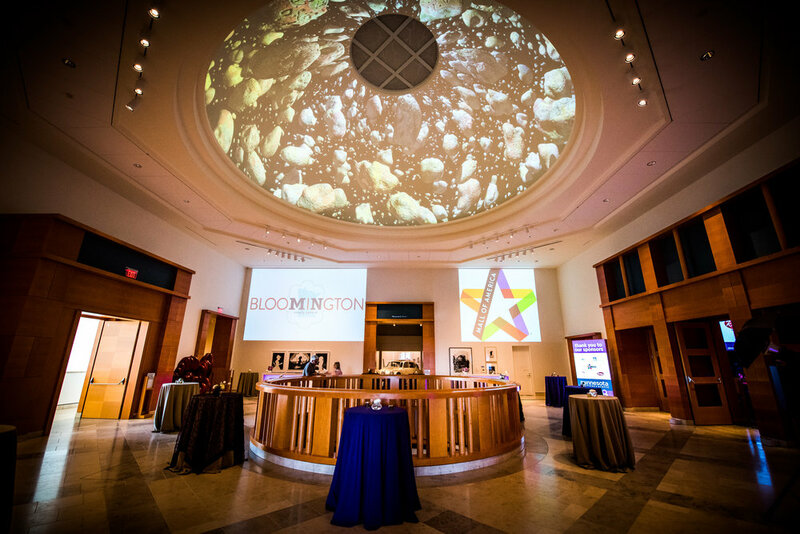 For lighting rental equipment we mounted lights to the same truss line the Barco projectors were mounted to and we also placed up lights in the reception area. We used ten Chauvet Ovation E-910FC lights, four Elation Powerspot 575 moving lights and ten American DJ Flat Par lights. At the tech table we used our Behringer X32 Mixer and Behringer S16 Digital snake for clear dependable audio during the event. We used our Analog Way QuickVu Video Switcher and a Playback Pro laptop to provide basic switching between Powerpoint and Videos. We utilized our Decimator HDMI-SDI Cross Converters to distribute HD video signal to the projectors. We used our ETC Element Lighting Board on the lights.